Brenna is married to John who is one of the ministers for the congregation. They have two daughters. She currently works one day a week assisting with office management, planning, and organization and is a homemaker and mother full time. 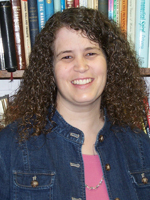 Kim began worshipping with the congregation in Elizabethtown in 1993 when she moved from Campbellsville. 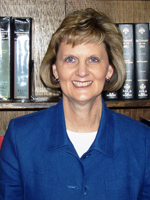 She began work as the church secretary in 1995, not knowing that her job would become the most enjoyable and rewarding job she ever held, even through the challenges through the years. Kim has been a former Bible class teacher, VBS teacher, and has recently begun to teach ladies with the jail ministry at the local detention center. She especially enjoys our annual Ladies' Retreats, Ladies' Days, and Ladies' Bible class each week. Kim made one mission trip to Ukraine in 2005 and taught ladies and young children in orphanages in Donetsk and surrounding cities. It was a wonderful experience that she will never forget and always cherish.